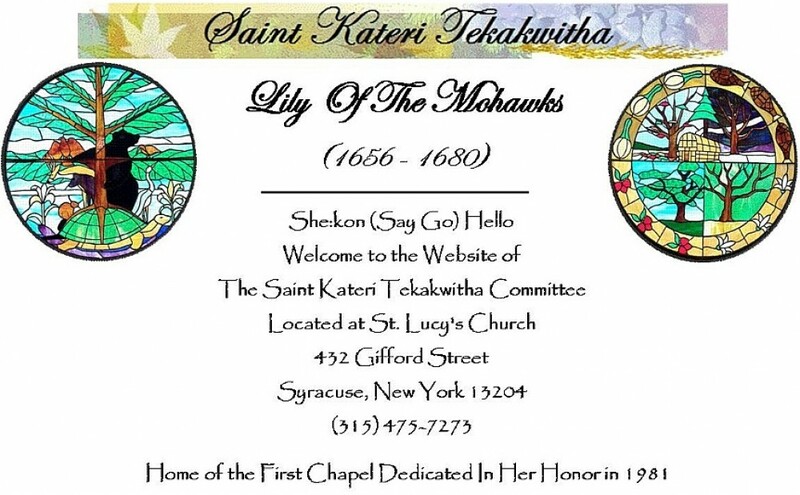 Listen to the St. Kateri Song By Clicking PLAY ARROW Below. And chosen was she, to be His Bride. Most wondrous flower of Indian Race. Lured by His love the cross to embrace. To follow Christ, her beloved One. When urged to wed, she heard His call. And vowed her love to God’s own Son. To Kahnawake was her flight. And cared for the needy day and night. As heaven replaced her earthly strife. Our Kateri to us will bring.